Last week I attended the 7th annual Canadian Water Summit, a day-long event bringing together water leaders from government, industry, non-profit organizations and academia. Held June 23, 2016, in Toronto under the theme “The Business of Water—Innovation Across the Entire Life Cycle,” this year’s edition focused on best practices in water innovation and the latest trends in managing water-related risks. In a keynote address, Glen Murray, Ontario’s Minister of Environment and Climate Change, talked about how, in Canada, we tend to take water for granted. “No one here was surprised when they turned on the tap this morning and clean water came out,” he said. Yet the sad reality is that nearly all of Canada’s once pristine lakes and rivers are now polluted. On this topic, Ontario recently passed the Great Lakes Protection Act, which aims to strengthen the province’s ability to keep the Great Lakes and St. Lawrence River clean, as well as to protect and restore the waterways that flow into them. Among other things, Summit panelists and participants discussed the challenges of introducing new technologies in the water sector: for example, no municipality wants to take the risk of being the first to implement a new wastewater or drinking water treatment technology. As well, procurement policies often require going with the lowest bidder but may not take into account full life-cycle costs or environmental impacts; moreover, when preparing specifications for calls for tender, engineers tend to go with the technologies they know. The Summit also looked at how water issues affect businesses, and offered a glimpse into the fascinating ways in which some companies are reducing their water use, using rainwater or grey water, or recycling their wastewater—often generating substantial dollar savings in the process. In a session titled “The Big Picture: Engaging water users in a conversation about sustainable water use,” Matt Howard, Director of the Alliance for Water Stewardship–North America, explained that no one is immune from water risks. The issue is not always scarcity; it may be regulatory, or quality—he pointed to recent examples of toxic algae in Lake Erie (causing Toledo, Ohio, to declare a state of emergency in 2014) and the fiasco in Flint, Michigan, both within the Great Lakes basin. “We need to move beyond the fact that we have abundant supply of inexpensive water,” he stated. He noted that in a survey on global risks, businesses ranked water as third most important in terms of impact, and second in terms of likelihood. Jonathan Radtke is the Water Sustainability Program Director for Coca-Cola North America. The company is present in nearly every country in the world. Their number one ingredient: water. The company has a multi-component water strategy, which includes making sure its plant is efficient and discharges clean wastewater, working on these same issues with suppliers, and collaborating on projects with municipalities and communities worldwide. This is being done through a number of projects and partnerships, from donating its syrup barrels for use as rain barrels to supporting wetland restoration projects. Recent Canadian projects include funding to the Nature Conservancy of Canada to support four conservation projects in Alberta’s Bow River Watershed, and funding to support the Tommy Thompson Wetland Park in Toronto. Here in Quebec, in 2012, the company pledged $250,000 to restore the damaged St-Eugène marsh and help improve the natural flow in the St. Lawrence River. Canada has much to learn from other countries, too. Alex van der Helm is with Waternet, the public water utility of Amsterdam. With its dense population and nearly half of the country below sea level, the Netherlands has become renowned for its water technology expertise. Van der Helm described a number of sustainable initiatives they’ve adopted, adding that Amsterdam’s ambition is to become climate neutral, “the circular city of Europe,” by 2020. He touched on concepts such as circular water and energy systems, aquifer thermal energy storage (ATES), and capturing heat from showers. “Forty percent of total energy losses come from warm wastewater leaving houses,” he noted. In a panel on “The Value of Water: Overcoming Challenges to Innovation in the Water Industry,” Bruce Taylor, President of Enviro-Stewards, gave numerous examples of how his consulting firm has helped large companies reduce their water and energy consumption. In one case, a food manufacturer was using tremendous quantities of water to dilute the fat waste going down the drain. By recovering and transforming this fat into lard that could be sold, the company reduced the fat going down the drain (good for the municipal wastewater system, where Fats, Oils and Greases, a.k.a. FOGs, are a huge problem), reduced its water requirement (water fees are rapidly increasing), and now generates some additional revenue by selling the lard. A few years ago, Enviro-Stewards designed a project for the City of Guelph to harvest rainwater to wash its buses. Not only does this save water, but it reduces the amount of chemicals used for removing calcium spots, for example. These were just a few of the many projects mentioned, offering an inspiring glimpse into the world of water technology and innovation. “Treat our freshwater as a precious resource that deserves protection and careful stewardship, including by working with other orders of government to protect Canada’s freshwater using education, geo-mapping, watershed protection, and investments in the best wastewater treatment technologies.” Excerpt from Canadian Prime Minister Justin Trudeau’s Mandate Letter to the Minister of Environment and Climate Change. Since my blog post about visiting Montreal’s Sorting Centre for Recyclable Materials, several people have written to ask how they can arrange for a tour of the facilities. Visits to the sorting centre, which is part of the Saint-Michel Environmental Complex (SMEC), are now managed by TOHU (better known for its circus activities). Short visit of the Montreal Sorting Centre for Recyclable Materials. A more complete visit of the plant, where you get to see the sorting machinery in operation, is offered upon request. For safety reasons, participants have to be 18 or over. Reservations can be made for groups of 10 people or more. For individuals or smaller groups, they can add you on to another tour. There could be a slight wait, because they’ll do their best to match you to a group of similar “level” (for example, they might place adults with a university group) since the tour is adapted to the audience. Tours are available in English or French. Visits are free for Montreal residents, otherwise the cost is $6 for adults and $4 for kids, and free for children under 6 (but not recommended). Special rates for social integration organizations. For information, you can email visites.guidees@tohu.ca or call 514 374-3522, ext. 4000. An equally interesting destination is the landfill in Terrebonne. Although a visit to the city’s garbage dump may sound boring, it’s actually quite fascinating (see my post “A visit to where our garbage really goes“). See their website (French only) for more information about tours and activities. You can also email André Chulak or call 450 474-7222. I’m at the grocery store, staring at two boxes of strawberries. One is organic; the other, half the price, is not. 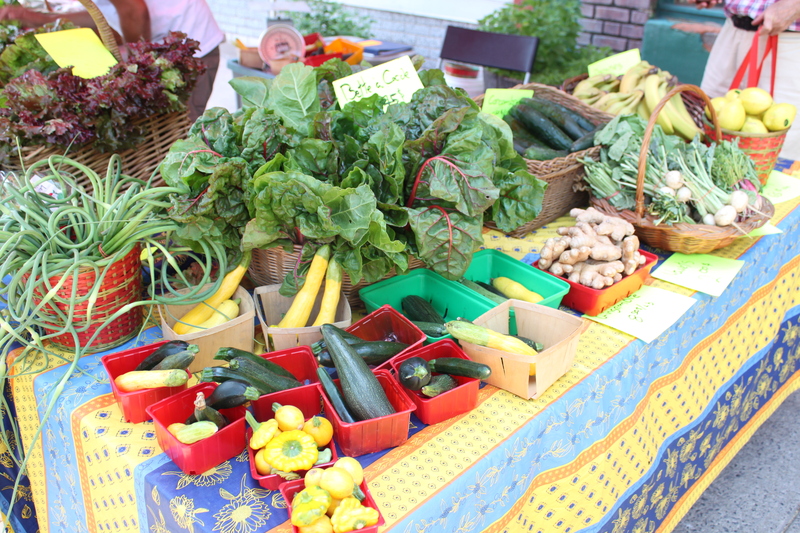 I stand there, debating: is it really worth eating organic? Does it really make a difference to my or my children’s health? According to a little experiment carried out by Bruce Lourie and Rick Smith for their book Toxin Toxout, the answer is a resounding yes: eating organic foods is worth it. They recruited nine kids from families that don’t usually eat organic foods, and had them eat all-organic foods for four days. In the days before, during, and after, they measured and compared the levels of pesticides in their bodies. First, they show how if you avoid certain products, you will have lower levels of these harmful chemicals in your body. In addition to the organic foods experiment, they used themselves and volunteers as human guinea pigs for experiments on indoor air quality (measuring benzene, toluene and other VOCs in their bodies) and on cosmetics and personal care products. The results were convincing. For example, on the days volunteers used “greener” perfumes, shampoos and deodorants, the levels of parabens and phthalates in their bodies were 80 times lower than on the days they used conventional products. Next, they looked at various detox strategies. “Our bodies actually have very effective detox systems,” said Lourie. “But they’re built to deal with natural foreign elements, such as bacteria — not synthetic and hormone-disrupting chemicals.” Despite this, they did find that the body eliminates certain chemicals not only through urine, but also through sweating — another reason why exercise is good for you. Chelation therapy, which involves removing heavy metals using an intravenous solution, is also effective, but should only be done under medical supervision (and is only recommended for people who are highly sensitive to certain heavy metals). Ionic footbaths, they said, are a complete scam. The last section of the book looks at how to “detox” the economy. “If you look at protections that Canadians have against the kinds of toxins we talk about in the book, at a provincial or federal level, they’re terrible compared to other countries,” said Lourie. “Europe has completely reoriented its chemical and pollution regulatory systems, putting the onus on companies to demonstrate that these chemicals are safe prior to putting them into products.” He noted that certain U.S. states, such as California, have also recently enacted legislation to protect their citizens against various cancer-causing chemicals. While the Canadian picture may seem bleak, Lourie and Smith are optimistic. They point out how a number of big companies, such as Proctor & Gamble, Johnson & Johnson, Walmart and Target, have started announcing changes in their product formulations to get these chemicals out of their products. The talk was the first of a new English-language series being organized by Equiterre. Disclosure: I haven’t actually read the book yet. Let me know what you think. 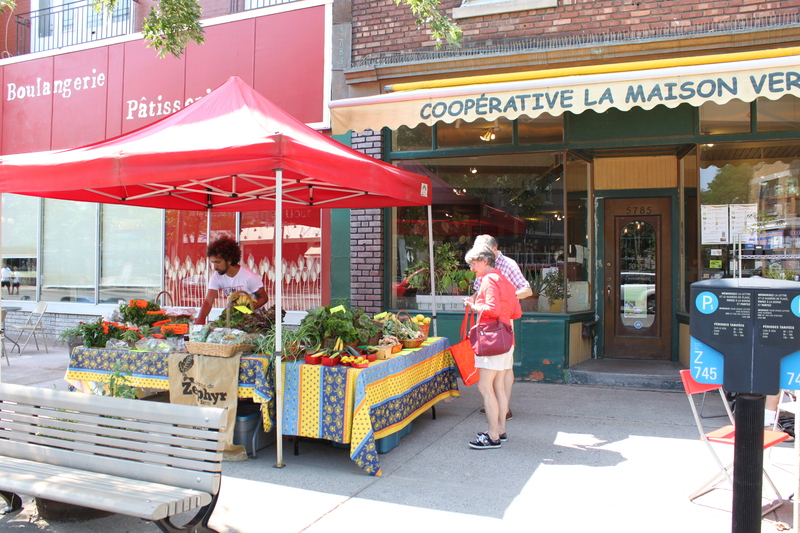 Where to get organic produce and products: A few options in Montreal are Equiterre’s community-supported agriculture program, Lufa farms, Jardin des anges, and Coop la maison verte. As regular readers will have noticed, over the last few months, enviromontreal posts have become few and far between. The blog is taking an official break for a time, while I focus on other projects. Meanwhile, stay green! A retrospective of some topics covered in the past (click on any photo to access the slideshow view). Lettuce at Concordia’s Greenhouse: vertical planting.